One of the Energy Saving Trust’s main goals is to support and encourage local community groups’ energy saving projects. As part of this, the organisation wanted to create a bank of online case studies of local groups doing innovative things, to inspire others. They also wanted to create a set of ‘how to’ guides groups can use to help set up projects. I wrote around 15 of these case studies and five guides. 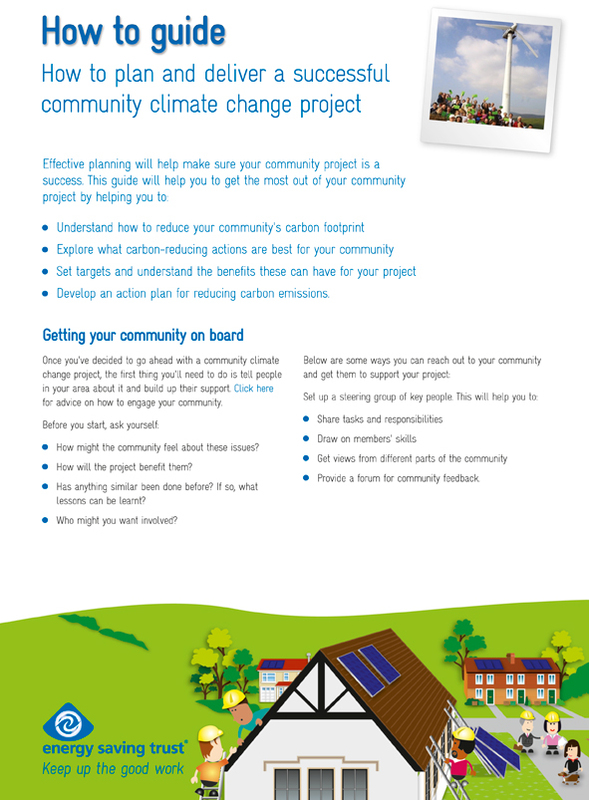 To gather information about community projects from Energy Saving Trust staff and project organisers, and turn it into compelling, web-friendly copy that would inspire readers to take action and set up their own energy-saving projects. Writing the guides involved researching topics like ‘How to monitor and evaluate your community project’ and ‘How to engage your community and communicate about climate change’, before producing extremely clear, concise, detailed copy on these topics. A well written, inspiring body of advice the Energy Saving Trust can use again and again to engage its target audience.